Helping couples experiencing a miscarriage is one of the hardest parts of the work we do at the Natural Fertility Company. It is impossible to stay emotionally neutral because we truly wish no one ever had to experience pregnancy loss. We understand how hard miscarriage is and that is why, no matter how hard it is for us, we are here to support you. This video was shared live. Download the Instagram App to watch our live broadcasts! 99% of the time miscarriage is caused by nothing that you did and is something that no woman has complete control over. It’s not your fault! In my previous FertilityScope, How To Decrease Chances Of A Miscarriage, I share part of my personal fertility journey with recurrent miscarriages and information about things you can do to help to prevent them; the things you have control over in your life. In this class, I cover the things you can do to support the body in recovery immediately after a miscarriage happens. 1. Eat deeply nourishing foods: These are foods like warm stews, soups and broths, even Fertility Smoothies… Miso soup, Indian foods, dhaal and eating an Ayurvedic fertility diet come to mind. This is not a time to start a new diet to lose weight, eat low fat, start any major dietary changes, etc. This is a time to eat healthy, nutritious “comfort foods”. 2. Consider herbs to help with recovery: These are herbs to help with recovery, are commonly used short term and not to be used in pregnancy. Angelica root (Angelica archangelica) – The plant that looks like an Angel is an excellent warming herb that is known to increase circulation to the uterus, dispel cold from the reproductive organs, all while supporting the nervous system, promoting relaxation, peaceful thoughts, and reducing anxiety. Black Cohosh root (Actaea racemosa) – Is traditionally used to aid in the regulation of the entire menstrual cycle and may aid the body in getting the cycle back on track post-miscarriage. It is wonderful for uterine weakness, situations where the uterus has lost strength and tone, and to reduce uterine pain and spasm post miscarriage. St. John’s wort flower, upper aerial parts (Hypericum perforatum) – St. John’s wort may help with emotions that accompany pregnancy loss. It helps to reduce nervous excitement and anxiety. It is a mild sedative that helps to relieve mild depression, aid the body in “lifting the spirit” and to support prevention of infection. It is also an anti-inflammatory herb. Caution: This herb should not be used if you are on antidepressants, nor should be combined with birth control pill use. Some studies have shown it lessens the effects of birth control use. Yarrow leaf/flower (Achillea millefolium) – Yarrow supports balance in the uterine environment by strengthening and tightening tissues. It may also be useful in regulating normal menstrual flow and relieving pelvic congestion. Vitex also known as Chaste Tree Berry (Vitex agnus-castus) – Vitex has a regulating effect on the hormonal feedback loop, mainly the pituitary gland. This kind of support may help to get your hormones back on track to regulating the menstrual cycle once again. Note: All of these herbs are in my herbal blend RecoverWell. I formulated this product out of the need I saw for a comforting herbal blend designed to help support the body in recovering from a pregnancy loss. RecoverWell can be used after a miscarriage to help encourage the body’s ability to recover, normalize and balance hormones, tonifying and support the uterus, and calm the nervous system while easing the soul. 5. Use a Fertility Cleanse and Self Fertility Massage: When menstruation returns, each of these natural therapies can be helpful in getting your started on your fertility journey once again. 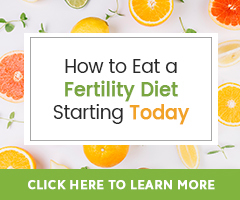 Fertility Cleansing is a great way to “reset” hormonal balance through the use of liver-supporting herbs and specific herbs for the female reproductive system. Fertility Massage teaches you how to connect with your reproductive system again by sharing many physical and emotional benefits for women recovering from miscarriage. If you are going through or have been through pregnancy loss, I send you a hug! It is important to acknowledge your loss in a way that is meaningful to you, take time to mourn and allow yourself space to process the experience. Time helps, time does help! Keep moving forward! Our team is here for you! Contact us here… and we will support you in any way that we can. God bless you all, I just lost my baby 3 months ago and still hurting, Im over 40 and in the beginning I wanted inmediatly look for be pregnant again, but with the nice support of my hubby & family now Im prepairing my body, my heart and my mind to have a succesful story if God want it like that.. I love all the work, advices, recipes, videos and specially yummy smoothies of your site… Hope soon I come here to give my story and show my little baby that with help of God and angels like you will come to be the sunshine in my home and in our hearts! Bigs hugs from Colombia 🙂 Love you all! We are so sorry for your loss and thankful to offer hope! Best wishes!